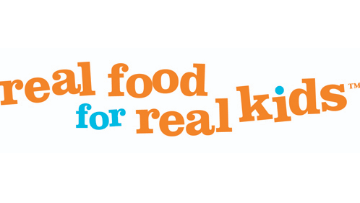 A multiple award-winning company recognized for excellence and innovation, Real Food for Real Kids (RFRK) is a leading healthy catering company for childcare centres, elementary schools, and camps. RFRK proudly serves delicious meals and snacks to over 19,000 children throughout the Greater Toronto Area every day. Our mission is to enable and inspire a lifetime of healthy eating and to have a great time doing it! Apply today to join a fast-growing company on a world-changing mission. The Purchasing Manager ensures that every ingredient and product in our facility fits with our values and food safety requirements. They are also tasked with developing and executing inventory management strategies that will allow for ongoing cost-saving opportunities, inventory optimization, improvements to material flow while minimizing supply chain disruptions to the business. You’ll be accountable for the Inventory and Warehouse areas of the facility and will make use of best practices and performance metrics to continuously improve supply chain performance. You’ll be expected to successfully lead and guide the daily activities of a team and coach team members for optimal performance. Maintain supplier files, purchase prices, price fluctuations and quality records. RFRK is an equal opportunity employer. We strongly encourage applications from diverse backgrounds and communities. No phone calls, please. We’ll contact applicants that fit the bill and invite them in for an interview. Copyright © 2018 Real Food for Real Kids, All rights reserved.